Enrichment is all about automatically discovering customer data, and turning a simple email address (or domain name) into a complete picture of your customer. However, this just skims the surface of what you can do. With access to over 85 data points and plenty of integrations with the tools you use daily, it just takes a little know-how to build powerful solutions that can transform your sales and marketing efforts. With this in mind, we have compiled a guide to the most common Enrichment use cases. Here are the top five. Not all inbound leads are created equal. From a pile of leads, only a small portion are going to become customers. Enrichment makes it so much easier to rate leads by how likely they are to convert and direct them to appropriate reps (Tweet this!). Once a lead is enriched, however, you can score the likeliness of conversion based on company and funding data (for example), you can route the lead to the right rep based on territory, and best of all, you can avoid wasting energy on leads that are unlikely to convert. A tool that discovers and appends relevant user data (company size, location, industry, job title, etc.). A tool that can automatically assign the appropriate reps to prospects based on their data. The Clearbit for Salesforce app, (free trial on Salesforce's AppExchange) uses Enrichment to automatically enrich leads in Salesforce. Setting up this integration takes just a few clicks and soon any customers in your Salesforce CRM will automatically be enriched by Clearbit. With this report, you can segment him based on his executive position, social following, or huge amount of funding. Because Benioff represents such a large revenue opportunity, he is scored higher and can therefore be prioritized by the sales teams. Plus, you can automatically assign him to a rep in his geographic area. Companies like Flexport and Segment use this approach and Clearbit's Salesforce integration as a fundamental part of their sales strategy, saving their teams hours of research time and administrative resources. Live feeds are often the most engaging, exciting way to view data. It's why the Facebook News Feed is so addicting, and why we spend so much time on Twitter. Why not build a livestream for your signups? It allows your team to respond in realtime to new signups. For example, if someone on your team has a connection to the new signup, or if someone with a huge following signs up, your team can reach out to them immediately. Your team gets to see the customers (and revenue), signing up in real time. Enrichment makes this sort of live view easy by integrating with tools like Marketo, Segment, and Slack to import new signups as they occur. Enrichment can automatically append data to signups and publish that information to a designated Slack channel. Set up takes less than a minute. Sign up forms present a conundrum. 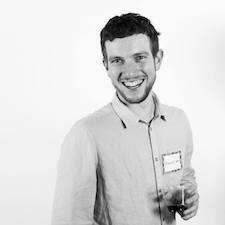 You don't want to ask for too much information upfront, otherwise you'll add friction and reduce your total signups. On the other hand, you can get a lot of value from knowing more than a user's email address. For example, if you have enough data about a given customer, you can send highly personalized on-boarding emails to increase adoption and ultimately conversion. How do you choose between these two options? Don't. 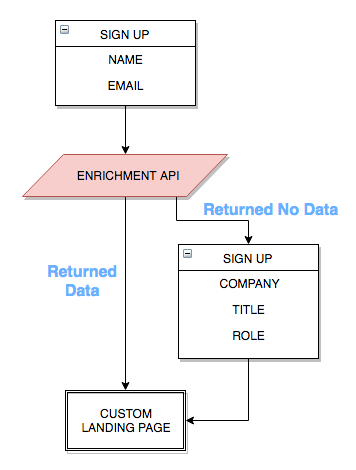 You can use Enrichment to get all the customer data you need while asking for nothing but an email address. Increasing your number of signups is often as simple as reducing friction in your signup process, and reducing the number of fields is a great place to start. The problem with lowering your number of fields though is that you're sacrificing the data that you need to qualify leads. 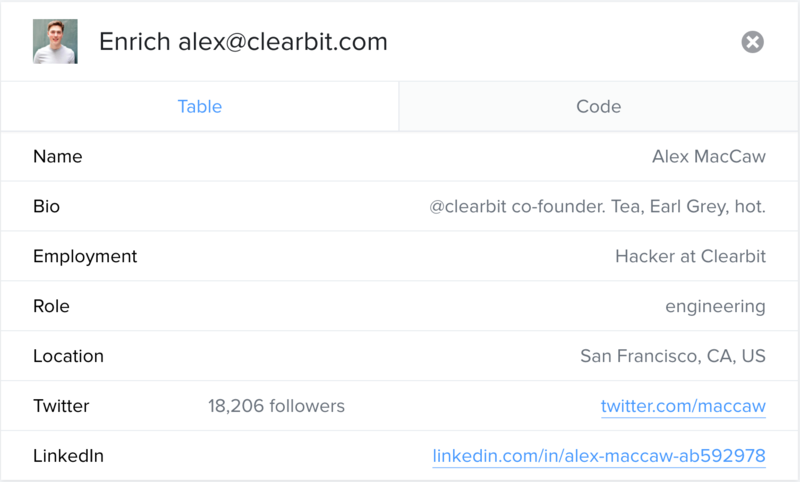 As soon as customers input their email address, Clearbit automatically fills in the rest of their data, in fact, it only asks for additional information (like company name) if Enrichment comes up short. Mention has managed to reduce the number of fields dramatically, while actually getting more data out of a single form submission. Also, because this data is being gathered by Enrichment and not submitted by their customers, there's a much lower chance of receiving false information. That means more data and higher quality information with less friction. The best news - by reducing friction and increasing the amount of data they collected, Mention was able to boost signup conversions by 54%. To see which attributes make prospects more likely to convert, you need to constantly collect data. The Enrichment API continually collects and refreshes data on customers, and with each data point, reveals more about your ideal customer. Constantly refreshing and collecting customer data results in a living ideal customer profile, as opposed to a static buyer persona. As new signups occur, new patterns tend to emerge, and you can update your ideal customer profile accordingly without any hassle. Enrichment also allows you to track a customer's total value, which goes beyond how much money they spend. For example, a happy customer with 20,000 Twitter followers can be valuable beyond their immediate revenue. If he fit your ideal customer profile, which would make him very likely to find your product valuable, he could be a powerful influencer for you. Using a Clearbit-integrated platform like Mixpanel, you can easily segment all customers who fit your ideal customer profile and have a large Twitter following become a list of ideal influencers. By focusing on getting these people to promote your product, you'll recieve extremely valuable referral sources without wasting your energy on every single customer. Tailoring content to your customers is key to optimizing your conversions. Why build one piece of content that vaguely appeals to everyone when you can create highly personalized content that speaks to the specific needs of your customers? As you might have guessed, the first step is to learn as much as you can about who is viewing your content. This is where Enrichment comes in. For example, if Enrichment finds that a customer works in marketing, an email automation platform like Customer.io can automatically send a personalized welcome email tailored for marketers. The more you know about a customer, the more you can tweak your content to their tastes, and even target your content distribution so that each customer sees only what is relevant to them. Many companies collect customer data using what is called “progressive profiling.” Progressive profiling is a method by which user information is collected slowly, over multiple screens and interactions. For instance, when you first sign up you may be asked for your email address. The next time you log in, you may be asked for more information, and the landing page you see might change as a result of this information. With Enrichment, you can make this process run even smoother. You set up Enrichment automatically pull in info about each customer, and then use a progressive profiling strategy to collect any information that cannot be found. With this strategy, you can minimize friction while customizing your on-boarding, and displaying content designed for that specific user persona. That means more conversions with less effort. These were just a few of the many use-cases we see every day from our customers, but the applications of having more data on your users are endless.